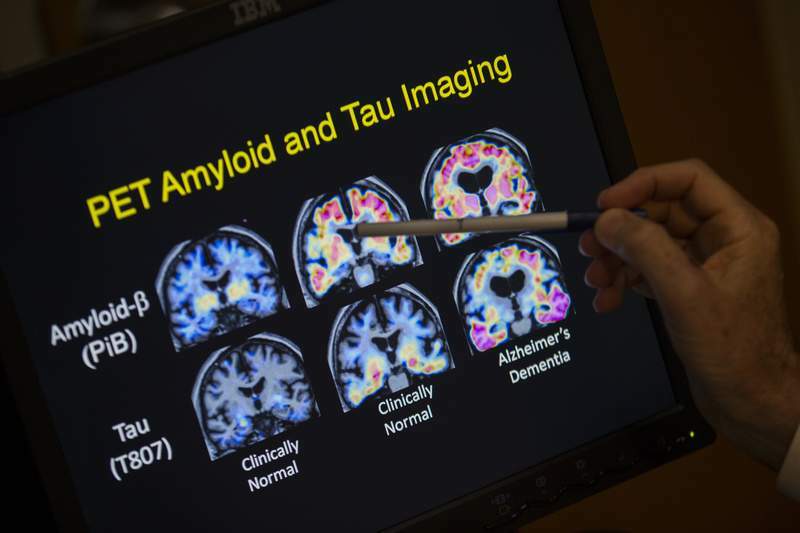 Associated Press A doctor points to PET scan results that are part of a 2015 study on Alzheimer's disease. A recent study unveiled a link between Alzheimer's disease and people vulnerable to scams. WASHINGTON – Does an older friend or relative have a hard time hanging up on telemarketers? Or get excited about a “You've won a prize” voicemail? New research suggests seniors who aren't on guard against scams also might be at risk for eventually developing Alzheimer's disease. “When a con artist approaches an older person, they're looking for a social vulnerability – someone who is open to having a conversation with a complete stranger,” Boyle said. During the study, 151 seniors were diagnosed with Alzheimer's and another 255 with mild cognitive impairment, sometimes a precursor for Alzheimer's. Those who'd had what Boyle calls low scam awareness at the study's start were more likely to have developed each of those conditions than seniors who were more aware of scam vulnerability. The 264 who died during the study underwent brain autopsies. Sure enough, the lower the scam awareness at the study's start, the more people had a buildup of sticky plaque in their brains that is a hallmark of Alzheimer's, Boyle reported in Annals of Internal Medicine.